Whoops, There Goes Another One…. The Perfect Additions to Many Dishes, Anyone for a Mint Julep? There is nothing like having a home filled with beautiful plants, but so many people think you have to be born with a green thumb to successfully grow houseplants. This simply isn't the case as growing indoor plants is actually relatively easy and can be just as much fun. For those people who want to start greening up their indoors, I did my homework and came up with this list of the 25 easiest houseplants to grow. Most of these plants require the bare minimum of care but will keep the inside of your home filled with green beauty. Aloe plants look amazing with the large spiraling leaves. You can get them to grow virtually anywhere that they can get a little sunlight. They do not need watered very often (soak them every couple of weeks) and provide you with aloe when you break off a leaf that can be used to relieve the pain of burns and some cuts. English Ivy is a climbing plant by nature, but you can also let it hang over things like mantels, bookcases, shelves, or counters. Like aloe plants, English Ivy does not require a lot of upkeep and left unfettered, it will spread out quickly covering whatever gets in its way. You can also create your own topiary by training the ivy into any shape. The ponytail palm looks just like the palm trees you see in Florida or California but is the perfect size for a sun-drenched windowsill in your home. Like its namesake, the last thing your ponytail palm wants is to be over-watered. The trunk (stem) of this plant holds large reserves of water it can live off for days. What's really funny is that lucky bamboo isn't even a member of the bamboo family. It is, however, one of the easiest indoor plants to grow. It does very well in low-light areas and is, in fact, a tropical water lily. It comes from Africa, where it is thought to bring good luck to those who live in the home. All you need to do is keep the soil moist, which you can do on a daily basis with a spray bottle. You can also grow it hydroponically (with the roots in water) which is the most common way to do so. If you are looking for a plant to fill a corner in your home, this may be just what you are looking for. These plants with their unique red-edged leaves can grow up to 15 feet tall. They do need plenty of sunlight but are considered to be among the easiest plants to care for. They also filter out chemicals like xylene, trichloroethylene, and formaldehyde from the air in your office or home. The Kalanchoe or prayer plant is a succulent, which means it retains water. It grows a beautiful bouquet of brightly colored bell-shaped flowers that are sure to brighten any room in your home. The good news is that this little beauty takes very little in the way of care and loves dry climate and large temperature changes. At night the flowers fold up, which looks a little as though the plant is praying, hence its name. These plants will add a touch of rare beauty to your home. Most take very little in the way of maintenance to keep them happy and healthy. Some like the Christmas Cactus rarely bloom, but when they do, the flowers are amazingly beautiful. When it comes to caring for a houseplant, it simply doesn’t get any easier than the snake plant. This plant is also known as the “Mother-in-Law's Tongue”. It grows well in virtually any lighting conditions and requires drier air and soil. It even prefers normal room temperature. The variegated leaves often have white or yellow edges, depending on the variety. One of the reasons the Christmas cactus remains so popular is that it lives for a very long time. Most of the year all you see is long green segmented stems that look like a cactus. But, just in time for the holidays, the plant should be covered in blooms of orange, pink, purple, red, or white. It should be kept in a sunny window and requires regular watering, you can also keep a tray of water under the pot to help keep the soil moist. This succulent is native to South Africa and uses its broad green leaves to retain the water it needs to survive. In the event this amazing plant does not get enough water, it will go dormant. When it starts to get enough water, it will rehydrate and once again begin to grow and flourish. It does, however, have a shallow root system and is easily knocked out of the pot. These amazing plants are part of the pineapple family and while they don't produce any kind of fruit, they do produce their own pups (side shoots) that can be carefully removed and planted. They like temperatures around 70° F, which makes them the perfect houseplant. To water, you simply fill the center of the leaves and check on a regular basis. One of the great things about the Crown of Thorns is that this plant looks amazing, even if it isn't currently in bloom. The bright gray-green stems are covered in sharp little thorns. While the flowers bloom in a variety of colors, the most common color is red. Some come with cream, yellow, white, or pink flowers and have fewer thorns. As long as you give this plant plenty of light, it can take a fair amount of abuse. We all know the song that goes “whoops there goes another one”, which may be an indication of how fast they disappear out of stores. These plants are incredibly strong and easy to grow. They do extremely well in low light and cooler temperatures. NASA rates them as a powerful eliminator of toxins and an exceptional air purifier. The ficus plant offers a plumage of shiny green leaves with yellow edges that are sure to add a touch of cheer to virtually any room in your house. You can create your own topiary by weaving the branches together. It does like to be in full sun or bright properly filtered light and should be watered just enough to keep the soil moist. While all plants help remove carbon dioxide from the air in your home, some are much better at cleaning the air than others. All of these are on the NASA top ten list of plants that clean the air. The Peace Lily offers amazingly beautiful blooms that last for a very long time. It is easy to care for in low light conditions, making it a great choice for rooms that don't have a lot of windows. All it needs is temps up to around 85° F and moist soil. These plants can grow to between 1 and 6 feet tall. They filter a number of toxins from the air. While chrysanthemums look wonderful out in the garden, in the right planter or pot, they can add a wonderful touch of beauty to the inside of your home or office. They should only be watered when the soil begins to feel dry should be placed out of direct sunlight. According to the University of Missouri Extension, you can push them to bloom by limiting exposure to sunlight to 10 hours. This attractive plant is also a member of the NASA top clean-air plants scoring an incredible 8.4 out of 10. Not only does it remove CO2, but it also removes benzene and trichloroethylene. It should be kept in low light areas of your home and well-watered. The leaves can grow up to 24 inches long, making it the perfect plant for empty corners. A watering balloon is the best way to keep this one properly watered. Spider plants are without a doubt one of the most common houseplants in the world. They are decorative, unbelievably easy to grow and are another member of the NASA top air-purifying plants. They are great for removing a number of toxic chemicals from the air in your home including, benzene, formaldehyde, carbon monoxide and xylene. This beautiful plant produces vines laden with heart-shaped leaves and is a very popular choice for growing indoors. Much like English Ivy, it is also very good at absorbing xylene. Providing you care for them properly with moderate amounts of water and plenty of sunlight, philodendrons can live for many years. The Boston fern grows long arching fronds covers with lacy leaves and can be successfully grown in planters or hanging baskets. While it might look delicate, don't be fooled. With the right care, a warm place to grow, plenty of sunlight, and just the right amount of water, a Boston fern can live for decades. This plant can grow up to four feet tall and four feet in diameter. 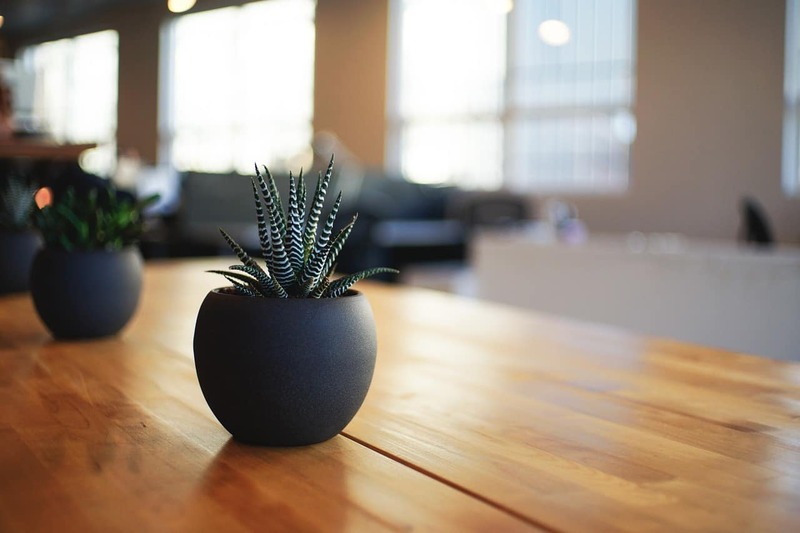 There is no reason why you can't grow plants indoors that not only add a touch of color to your home, but aid in air purification and can provide you with food. Microgreens or as they are often called, “vegetable confetti” are not sprouts or sprouting greens, they are a fully edible form of immature greens that can be harvested using a common pair of scissors. It typically takes about one month for them to go from seed to plants that are approximately 2 inches tall. They can be grown on any sunny windowsill and are packed with flavor and nutrients. Do you hate the idea of having to wait until summer for fresh vine ripe tomatoes? Do you have a sunny window where you can place one or more pots with tomato plants in them? Basil is one of the most commonly used herbs in many forms of cooking, including French, Italian, and Latino. It is also a very easy to grow herb that can be grown indoors or out and produces plenty of leaves that can be used fresh or dried. Just be sure the pot you choose has good drainage and you place it in an area with plenty of light. Growing rosemary indoors can be quite tricky. But with a little care and effort, you should end up with a fragrant herb that not only makes the house smell great but adds a lot of flavor to many dishes. One of the worst things you can do is bring a rosemary plant indoors without taking the time to acclimate it. You do this by moving the plant to shady areas in your garden during the day for a few weeks before you plan to bring it inside. Mint may be one of the easiest herbs to grow indoors. There are many different varieties for you to choose from, all of which can easily be grown indoors in containers. There is literally no scenario in which this prolific plant can't and won't grow. If you give it plenty of sunlight and water, your kitchen will soon be overrun, but then you will have plenty to garnish your next mint julep. This amazing leafy vine plant can grow trailers that measure 10 feet in length or more. It can survive with minimal watering and in low-light conditions. Many people take great pride in seeing just how long they can get the vines to grow. It does not, however, fare as well in drought conditions like many other indoor plants do. One popular way to display this plant is in a hanging basket hung in front of a window with the trailers going around the window. The final goal of this article was to show you how easy it is to create indoor gardens in your home that add beauty and in some cases food to the inside of your home. This is only a small selection of the hundreds of easy to grow indoor plants. My home is filled with a selection of these, especially herbs that I use regularly in many of the dishes I cook for my family. They also help to purify the air inside my home in much the same way as those outside do for the planet. If you have enjoyed reading about the top 25 easiest houseplants to grow please let me know.